Rome Country Club was this year’s host to the US Speedgolf Open. Scheduled back to back against the World Championships, it drew an international field. 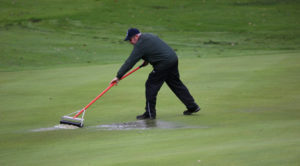 With nearly a week of rain ahead of the event, conditions were challenging with areas of the course still saturated if not waterlogged. 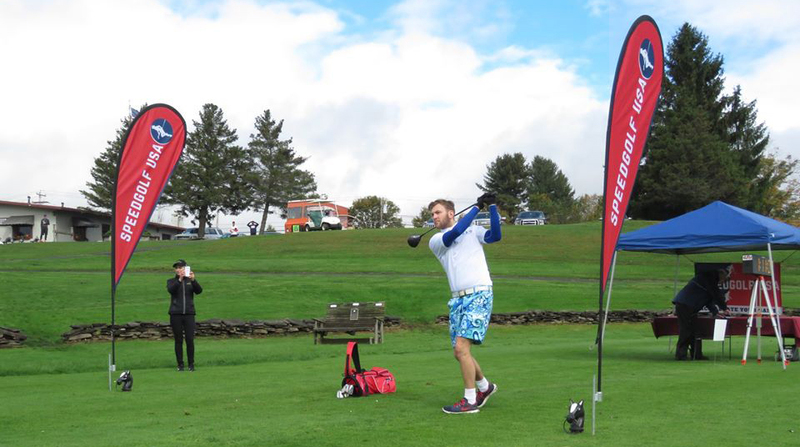 Despite this and the cold conditions 37 entrants took their turn at the start area for a day of Speedgolf thrills. 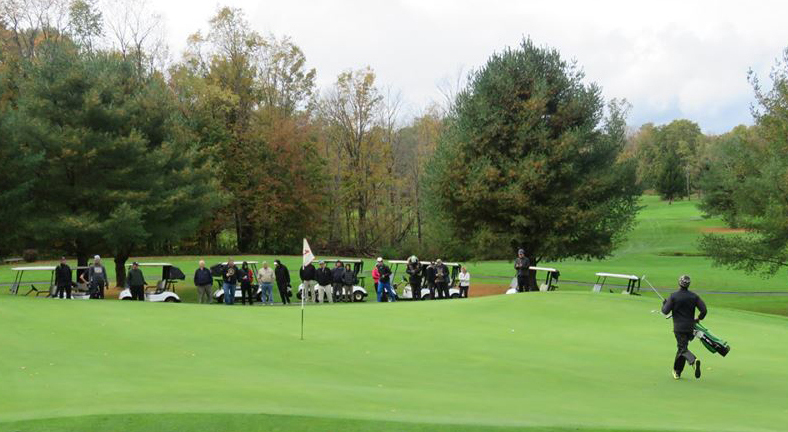 There were various categories to suit all abilities including a 9 hole option for novices. 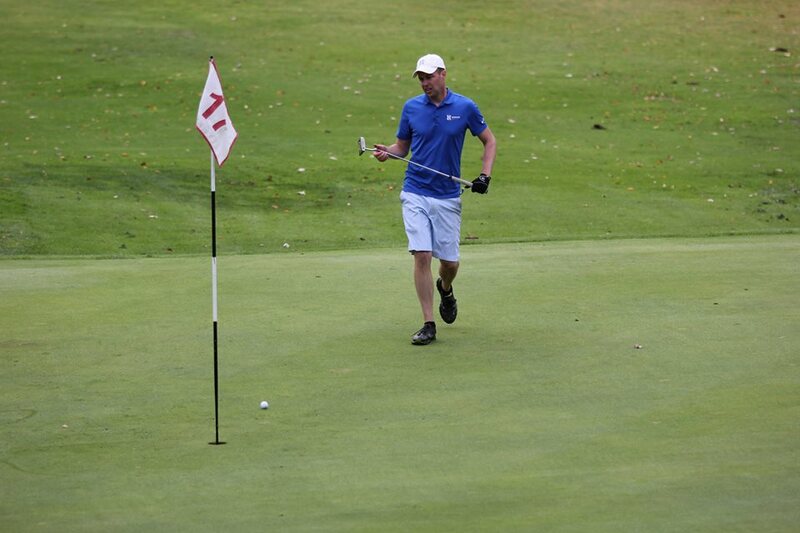 In the blue ribboned event, British hopes got off to a splendid start with George, last year’s runner up, finishing 18 holes in a staggering 42 minutes and 42 seconds which would prove to be the fastest time of the tournament. On the day, his golf accuracy could not match his pace and he finished a very respectable 7th. 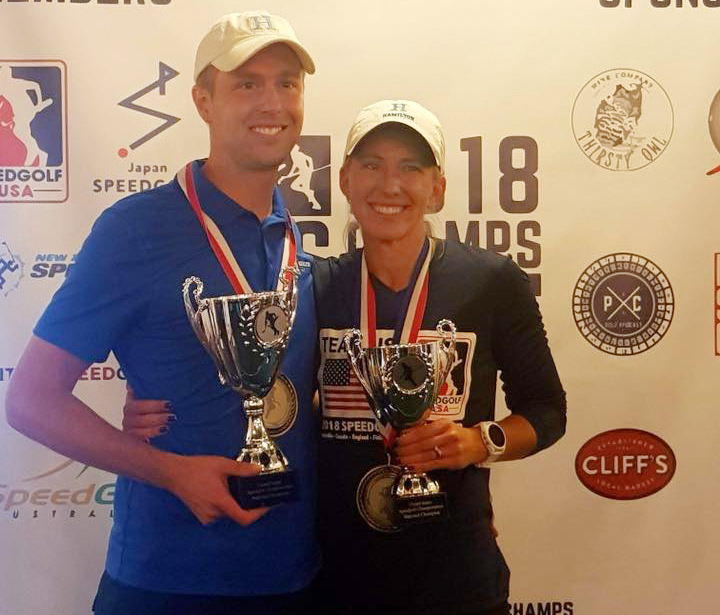 Chris Benians had an amazing round shooting 3 under in 49 minutes and 16 seconds, a feat only matched by a couple of others in major competitions and this unsurprisingly took him to the top of the Leaderboard – Click here for scores 2018 US Speedgolf Championships. However, in a departure from most Speedgolf tournaments the US Speedgolf Open had a sprintgolf style playoff for the Top 4 and scores from round 1 were ditched for the 6 hole by hole sprintgolf playoff. Unfortunate timing meant that Chris had to start this playoff shortly after his 18 hole round and after playing a couple of holes withdrew over fears of injury, a risk he was not looking to take ahead of the World Championships a few days later. The playoffs continued with Wes Cupp, Jamie Reid and Jason Hawkins, but it was Wes Cupp who finished triumphant. In the Women’s event Lauren Cupp made it a double home win for Rome County Club securing the win scoring 84 in 54 minutes and 24 seconds (SGS = 138:27). Other notable wins were for Micka Randriana from France who took top honours in the amateur 25-49 age and Larry Levinson in the 50 -59 age group.